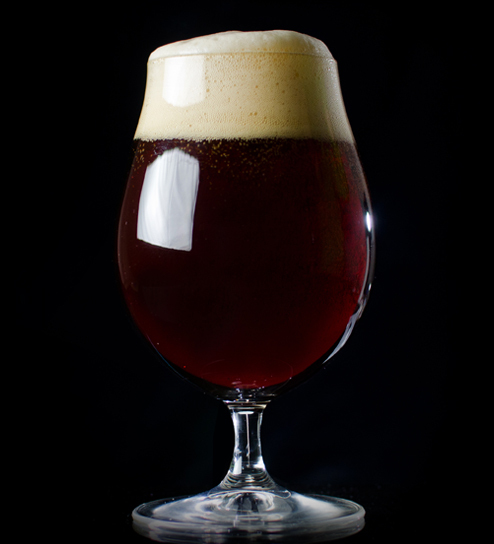 The German-style dunkel is a bottom-fermented lager style beer. The word “dunkel” is German for “dark,” and this dark beer style offers beer lovers balanced flavors of chocolate, bread crust and caramel. The dunkel is a classic German lager that craft brewers are fond of brewing and countless people across the world are fond of enjoying. Like most German beers, dunkel beer is a great candidate for food pairing, matching up well to grilled meats. 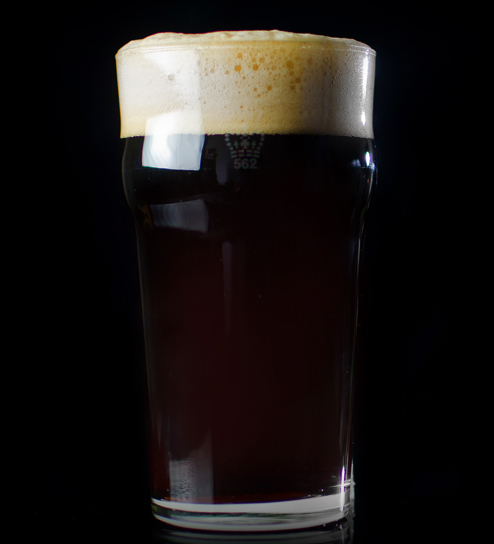 A German-style dunkel, sometimes referred to as a Munchner dunkel, should have an aroma comprised of chocolate roasted malt and bread or biscuit-like features that stem from the use of Munich malt. Despite the malt forward flavor profile, this beer does not offer an overly sweet impression. Rather, you’ll find a mild balance between the distinct character of malt and the refined touch of bitterness from noble hops, indicative of what many beer drinkers expect from German beer styles. Comprised of mostly Munich malt, the German dunkel’s caramelized malt experience is the product of a chemical process known as the Maillard reaction. This reaction is what lends Munich malt its distinctive bread crust flavor. While barley malt is kilned, the malt browns, creating a myriad of caramelized flavors. Browned proteins, like grilled pork chops and oven-browned bread both benefit from the Maillard reaction. Keep this in mind when you are pairing these types of foods with beers since dishes that showcase flavors derived from the Maillard reaction complement each other very well. These flavors are what make grilled pork chops a great meal to enjoy with a German dunkel beer. The CraftBeer.com “Find a Brewery” map is designed to help everyone from the craft beer connoisseur to the casual craft beer drinker find their first, or next, favorite brewery or brewpub. Through searching by location, brewery name, or even by state, we can point you in the direction of the nearest brewery where you can find your next favorite beer, which could be a German dunkel. If you enjoy the website and are interested in a convenient way to learn more about German beer, what types of foods and flavors match best with German-style beers, or any other variety of beer of your choosing, sign up to have our newsletter delivered directly to your inbox.